Boise, Idaho March 21, 2018 – Cycling advocates from across Idaho will meet in May for the 2nd Idaho Walk Bike Summit to be held at the Idaho State Capitol building in Boise. The summit sponsored by the Idaho Walk Bike Alliance will be held Wednesday May 16th through Friday May18th bringing together advocates, city staff, transportation professionals, planners, health community leaders, elected officials and other interested citizens from all over the state and the region. The goal of the summit is to provide education and training to a diverse audience through a selection of relevant topics on bicycle and pedestrian design, advocacy, land use, funding options, health and wellness, and more. The summit is designed to increase participants’ effectiveness at creating safe and accessible environments for walking or biking, whether it’s at the city, county, region, or state level. 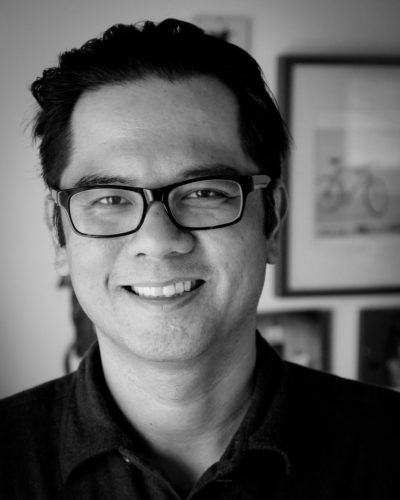 The Keynote Speaker on Thursday morning May 17th will be Russ Roca who is the co-owner of “The Path Less Pedaled” which is a bike travel blog-turned business. Since 2009, “The Path Less Pedaled” has focused on the ways in which cycling can positively impact small and rural communities. Roca has partnered with community leaders and tourism agencies across the country to work through the challenges of marketing a destination to a bicycling audience. Idaho Walk Bike Summit 2018 attendees will represent a spectrum of people from a variety of communities who are engaged in bicycling and walking. “The summit will be held in Boise, but the Idaho Walk Bike Alliance would like small rural communities well represented to share successes and challenges they face locally,” said Cynthia Gibson, Executive Director of the Idaho Walk Bike Alliance. “The summit is designed to educate and inspire advocates from all over Idaho to increase success in their communities, whether they are urban or rural, by presenting information attendees can implement quickly and affordably in their towns,” added Gibson. One of the summit presentations will be titled “Pedestrian and Bicycle Safety: Lessons learned from Utah Communities,” presented by Dr. Shaunna Burbidge of Active Planning based in Kaysville, Utah which will summarize 6 years of pedestrian and bicycle safety research undertaken by the Utah Department of Transportation. Another summit highlight will be the Friday morning May 18th plenary session with speakers Chris Danley and Don Kostelec who are principals at Vitruvian Planning in Boise. They will make a presentation entitled “Real Stories. Real Challenges. Real Opportunities.” Danley and Kostelec will discuss the human toll of walking and bicycling in Idaho and what advocates and local elected officials can do with the knowledge they gain at the summit to effect real change when they go home. The mission of the Idaho Walk Bike Alliance is to promote active transportation as healthy, safe, and reliable for all Idahoans. For more information or to support Idaho Walk Bike Alliance, visit www.idahowalkbike.org.